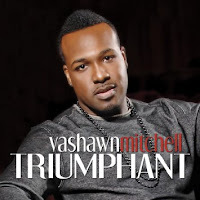 Gospel artist Vashawn Mitchell has been around since the late 90s. He had his biggest success with the 2011 single Nobody Greater. He also writes and produces for others. He was born Nov. 19, 1976 in Harvey, IL. As a teen, he was assistant music director at Lonnie Hunter's St. Mark's Baptist Church. Bishop Larry D. Trotter spotted him and made him musical director at Sweet Holy Spirit Church. Mitchell released his debut CD So Satisfied in 1998. He also produced albums by the Trotter led Sweet Holy Spirit Choir. Then he released two albums for Tyscott Records. He also wrote songs for Bishop Paul Morton, Vanessa Bell Armstrong and Smokie Norful. Mitchell moved to Atlanta to become musical director at the Higher Living Church. 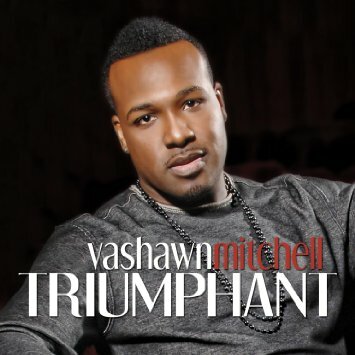 And he signed with EMI Gospel for the 2010 album Triumphant. Nobody Greater topped the Gospel charts and it was 2011's most played song on gospel radio. He was nominated for two Grammy awards, two Dove awards and he won six Stellar awards. Since then he has released two albums on what is now known as Motown Gospel and he also produced albums for Tasha Cobbs. Mitchell's latest CD was released in 2014 but I would expect new music from him this year. Like a lot of gospel artists, he appears with many local choirs as a guest vocalist. I don't think he has a touring band. Here's the video for Nobody Greater by Vashawn Mitchell.